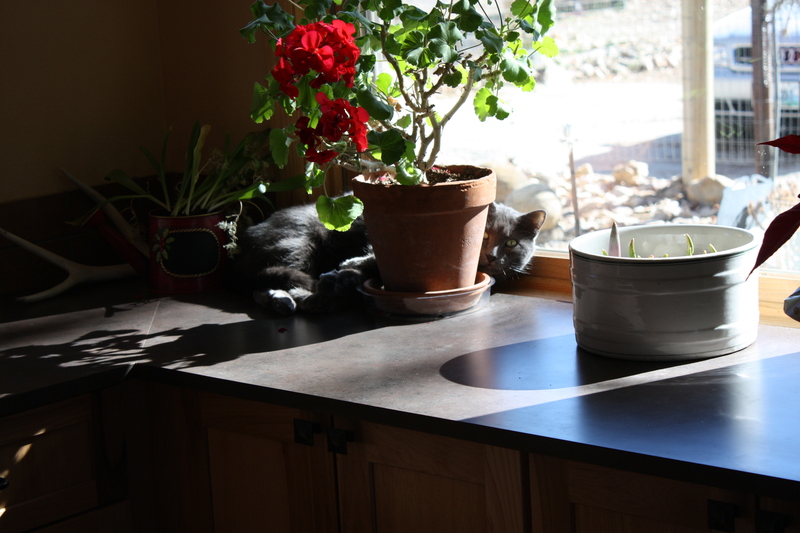 bathed in sunlight . . . . Flagging spirits in February call for some relief from the cold and snow outdoors. A trip to a tropical island is not in the cards this winter, so we are making do with some glorious blooms in the window. 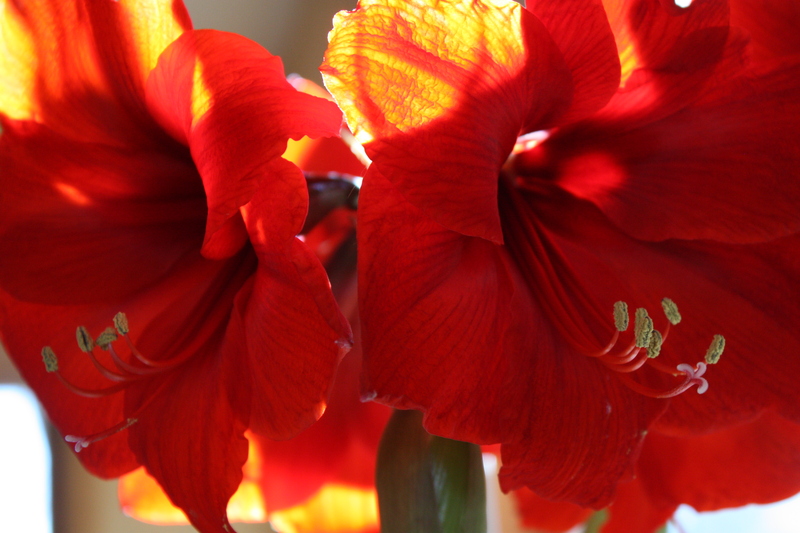 Three amaryllis bulbs picked up on sale after Christmas have just now bloomed and are in their glory. The first one opened in time for Valentine’s Day and now they are all brightening up our winter gloom with 4-8 large flowers on each stalk–nearly twenty blooms total. Incredible! A bowl of white tulips are coming to life and will bloom in March, and the winter standby, a red geranium that has bloomed several winters, along with leftover poinsettias from Christmas, make for a cheery dining room window seat. leftover Christmas spirit . . . . 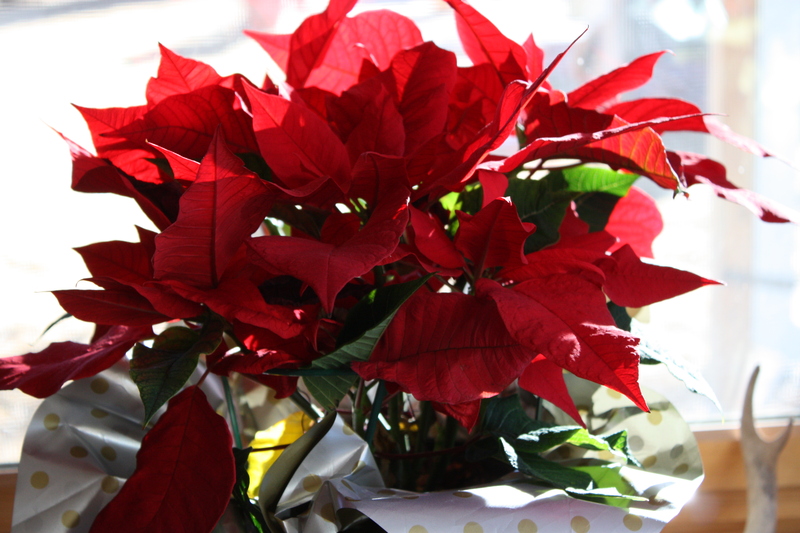 The poinsettias don’t seem to be losing much of their vigor, even though they’ve been around since mid-December. 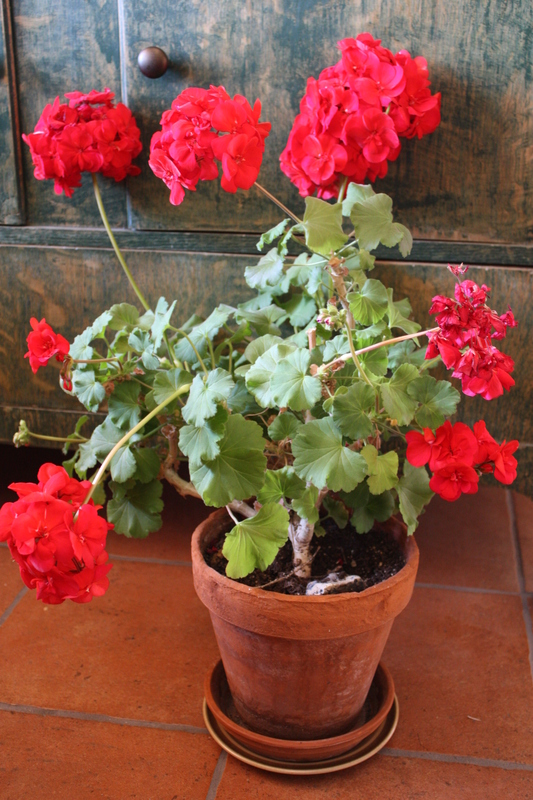 a riot of red . . . .
Summer or winter, this geranium can be counted on to bloom its heart out and fill a space with cheery, fire-engine red blossoms. It’s a keeper! 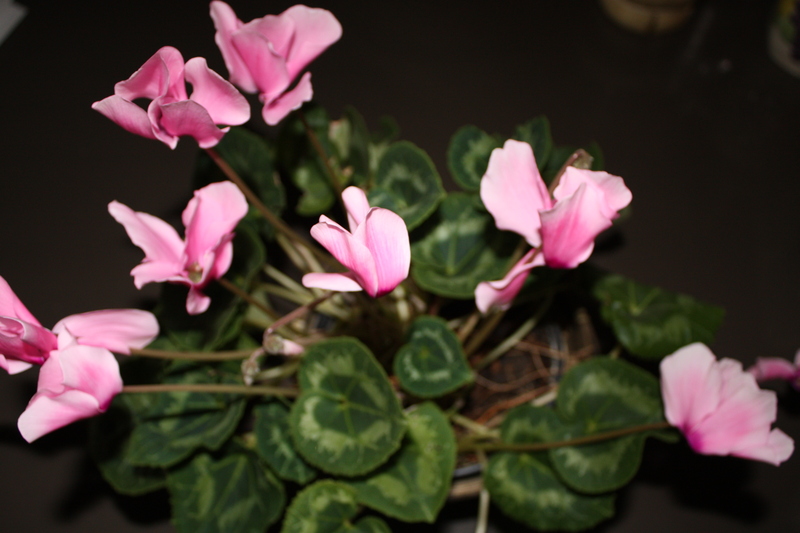 pink pales in comparison . . . .
A cyclamen covered in pretty pink “birds” has been blooming for a couple months, and brings so much pleasure to the dark days of winter. a feline among the flowers . . . . . This entry was posted in Wonders and tagged winter flowers by bygeorge. Bookmark the permalink.